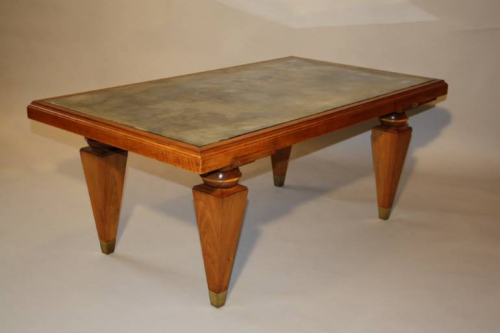 An elegant mid C20th coffee table with distressed mirror inset into top. The base is walnut with tapering square and ball legs with sabot feet. Very well constructed and an unsual design. French c1940.